Survey text files that were created in an older version of Insight, exported from another project or created by hand can be imported into the database. A survey file can also be imported to redefine a survey's coordinates. Coordinate Reference System conversion can be performed if the survey information is in a different CRS from the Project. For examples of survey definition text files, see Survey File Examples. 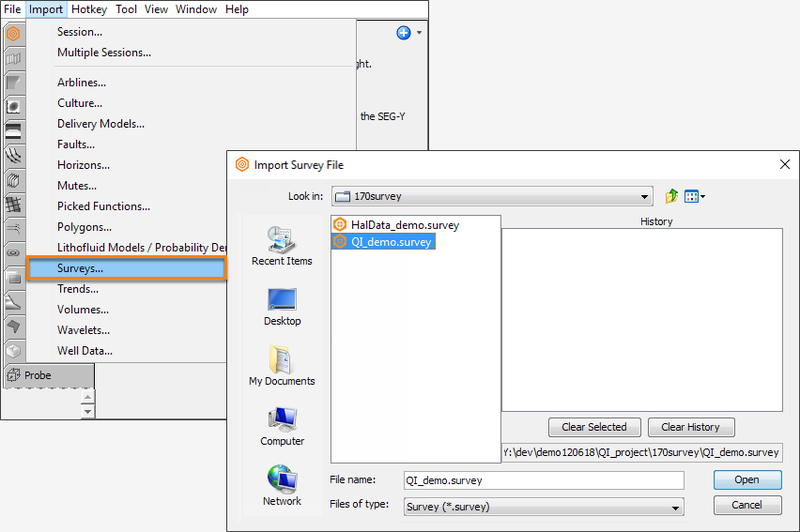 Select the survey file(s) to import and click Open. They will be added to the project database and the current session. 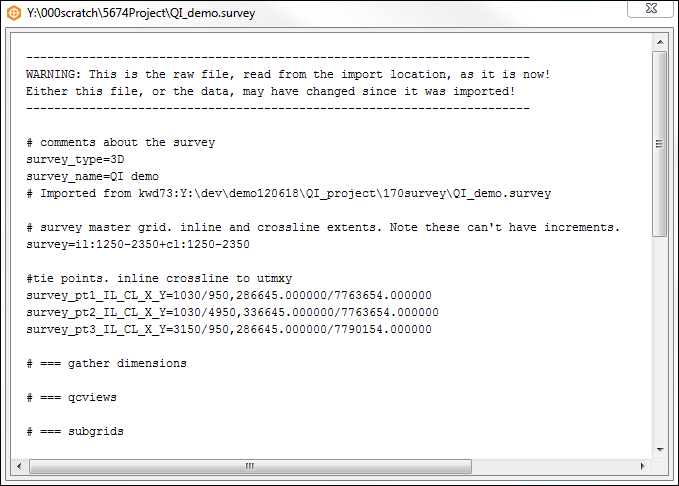 You can view the text file of any imported surveys. Double-click the survey that you imported to the project. Alternatively, right-click the survey and click Configure 'Survey'. The Configure 'Survey' window will be displayed. To close the window, click on the [x] close button at the top right corner of the window or press Esc on your keyboard.